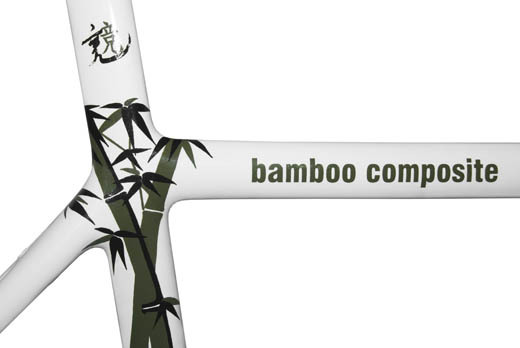 This was the first bamboo composite road bike frame in the world. 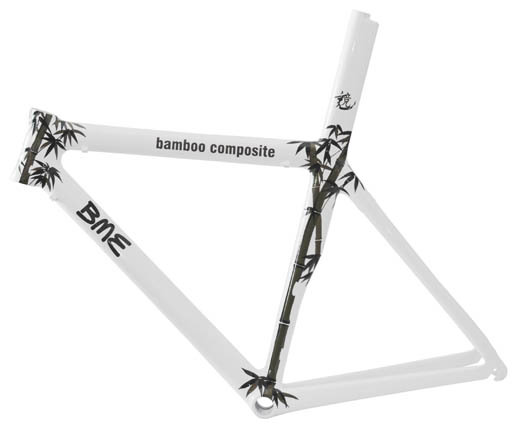 This experimental frame was made from processed bamboo fibers. Although the look of the frame is similar to a classic carbon composite frame, the similarity stops there. 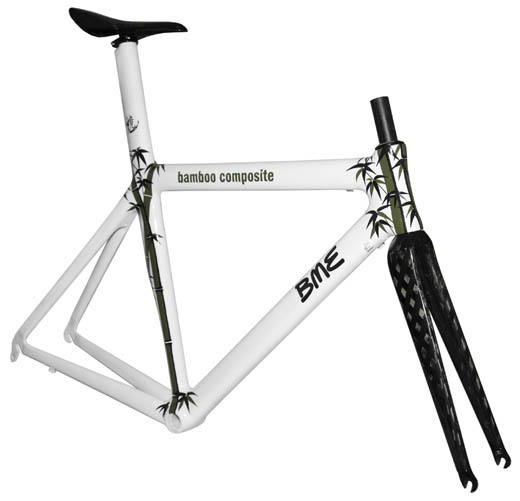 Instead of carbon fiber, this frame was built using bidirectional fabric from pure processed bamboo fiber. The front triangle was stiff enough, but the chain and seat stays were a little flexible, not really suitable for racing, but stiff enough for recreational or city riding. 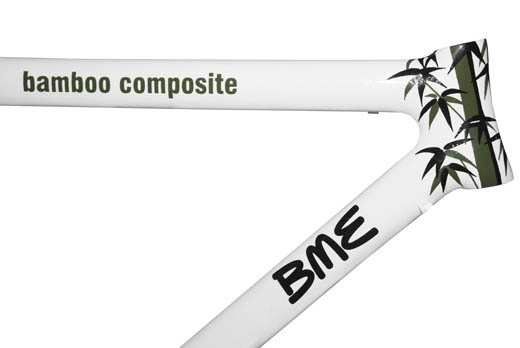 This bamboo composite frame was presented for the first time at NAHBS 2008.